Inspiring individuals to seek leadership roles and gives them the resources to succeed as leaders. 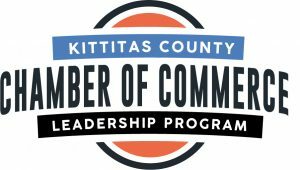 What is Leadership Kittitas County? Leadership Kittitas County is an in-depth, 7-month exploration of our county. We visit people and inner offices frequently not open to the public, have behind-the-doors meetings with community leaders and top business people, and spirited conversations about policy and our communities’ futures. Diversity of viewpoints is highly encouraged. Many deep friendships have been forged among participants and with Leadership alumni and presenters. Who has attended Leadership Kittitas County? Between 1995 and 2018, nearly 350 people have completed the program. Alumni have gone to become local elected officials, state representatives, judges, top CWU administrators, and people in nearly every walk of local life. They straddle a wide range of political affiliations but are united in a common desire to make our communities better. When are applications due? Applications are due September 20. How are participants selected? Applicants are nominated by Leadership alumni and facilitators. Selection is based on applicants’ interests and the need for the class to be representative of the community. All applicants are not necessarily chosen for the program the first year. What is the tuition? Tuition is $500 per participant and is typically covered by employers. What does tuition cover? Tuition is used for costs such as materials, space rentals, meals, and occasional transportation services. The Chamber donates staff support. What is the time commitment? Participants are expected to attend all sessions and participate by engaging with speakers and fellow class members. Most classes run from approximately 8:30 am to 4:00 or 4:30 pm. All sessions, with the exception of the October Orientation and History Day, are held on the 2nd Friday of the month. Attendance at the October Reception/Orientation and the October History Day is mandatory. What is the program’s 2019-2020 schedule? Where do classes take place? Leadership Kittitas County is education on-the-run. The class visits everything from government offices to hay processing plants. Very little time is spent in one place. If I become a participant am I expected to run for public office? We provide the background, knowledge and experiences; how individuals use that is up to them. Also, leadership is broader than public office. Roles in professional associations, on boards and commissions, and with service organizations also have great impact. What is the Chamber’s role? As founder and administrator of the program, the Chamber understands that our business environment and quality of life are directly tied to the excellence of local leadership. The Chamber is committed to assembling the best resources available to provide a year of thought-provoking programs and to motivate participants to become involved in our county’s future.